It’s not fair to review a movie based only on its first 19 minutes. 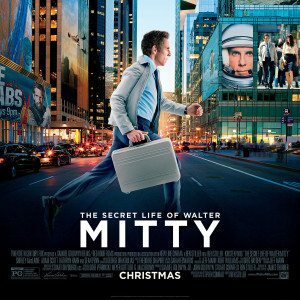 However, it is still less fair to expect anyone to sit through more than 19 minutes of The Secret Life of Walter Mitty (’13). 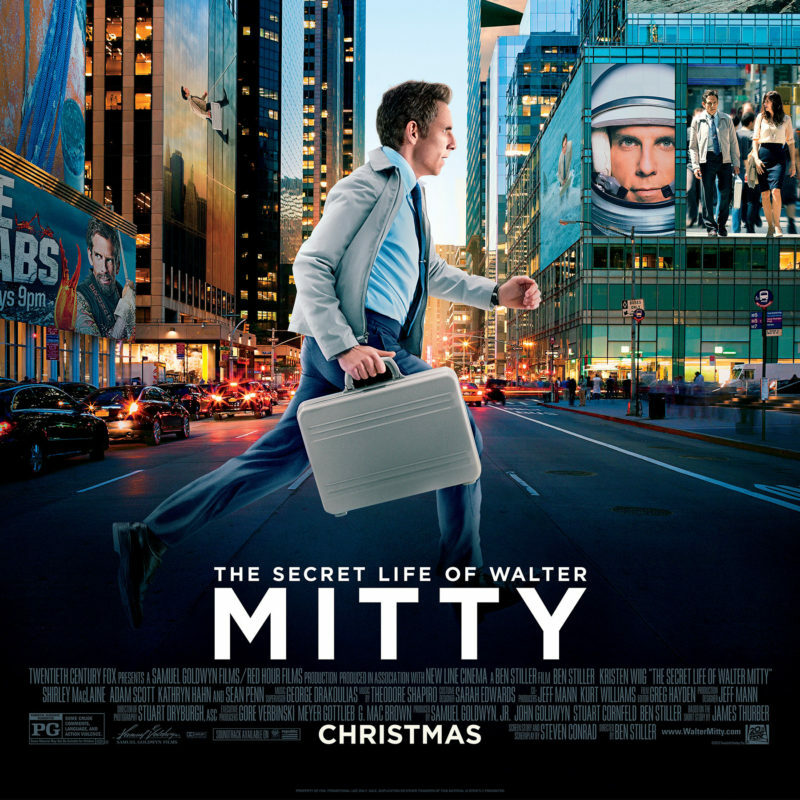 It would likewise be unfair to call the first 19 minutes of The Secret Life of Walter Mitty the worst movie ever made, because, at least based on its first 19 minutes, The Secret Life of Walter Mitty is not a movie. It’s an advertisement. For what is it an advertisement? How many Ben Stillers can you find? The first 19 minutes presents so many options I was unable to pinpoint one. The opening five minutes could, I think, with minimal tweaking, if any at all, be used as an ad for any sleek, modern product, a cellphone, say, or an e-reader, or a new medication whose target ailment is never defined, the kind of ad in which no product is shown, where instead it’s a kind of lifestyle being offered, a way of existing that in its non-specific particulars appeals to a wide yet select swath of potential consumers, where only at the end does the name of the product, in slim, off-white lettering on an off-off-white background, appear, briefly, before being painted over in streaks of not-quite-rainbow colors and replaced with the name of a Swiss company neither you nor anyone, not even your Swiss friends, can pronounce. After that it becomes an ad for the eHarmony dating service. And then an ad for Life Magazine, or Time, who owns the name and runs the website, the website that, presumably, should one watch all of The Secret Life of Walter Mitty (one should not watch all of The Secret Life of Walter Mitty, nor would one, ever, not even on an airplane or in an insane asylum or due to some kind of A Clockwork Orange set-up), will show an uptick in visitors. It might be an ad for Ben Stiller, though I can’t be certain how one would go about acquiring more of him, or what you’d do with him if you did. It might be an ad for fake beards. Adam Scott, the bad guy, wears a fake beard so dramatically fake I assume it must have a purpose beyond indicating him as the bad guy. Is it a joke? Perhaps. But in that case, shouldn’t it be funny? It is not funny. 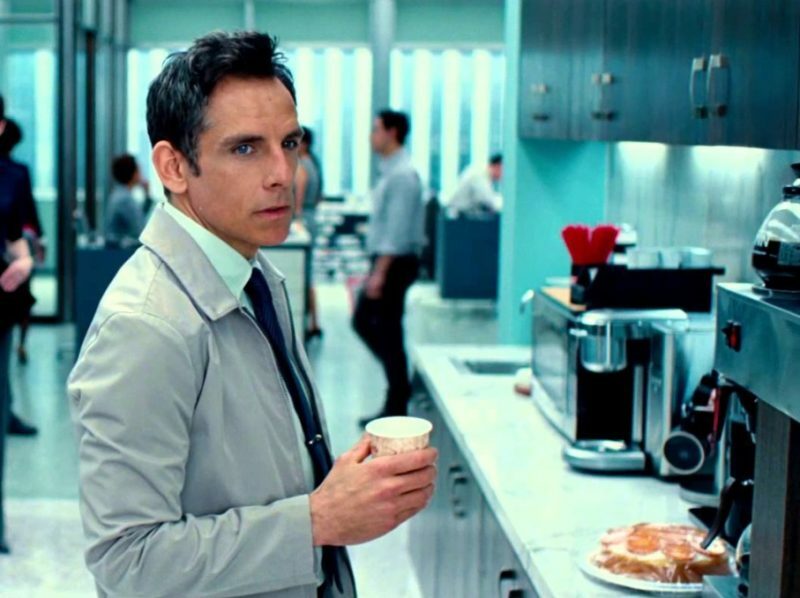 Nothing is funny in the first 19 minutes of The Secret Life of Walter Mitty. Maybe nothing’s supposed to be funny. Maybe it’s supposed to make you feel like your life is being sucked from your body against your will by a deadly race of brain-eating aliens. Maybe it’s meant to trigger the depression you just barely keep at bay with the very meds the movie’s first five minutes almost, but not quite, appear to be advertising. Maybe it’s designed to make you hate not just itself but all movies, past and future, forever. The movie is directed by Ben Stiller, who must really, really, really want an Oscar for directing a “serious” movie, given the powerfully generic style he here shows off. However, neither the first 19 minutes of The Secret Life of Walter Mitty nor the rest of it were so much as nominated for an Oscar, so this dream remains unfulfilled. There was this really funny gag they could have done with the pie. It was not done. I don’t doubt Stiller will be back with another attempt. I shiver at the thought. But wait, before you go, I must ask—I hear you asking, your voice atremble—what fearful straits have brought you to this sad fate, one where you watch any of The Secret Life of Walter Mitty, let alone an excrutiating 19 minutes? It is a fate known as Free HBO From Those Bastards At Comcast + dinner ready to eat at precisely 8:00 + my turning on the TV + a movie beginning + hunger preventing me from picking up the remote control + my enormous generosity of movie viewing spirit, which spirit has now been crushed, I hope not irreversibly. I understand that this is a completely different film if you watch while wearing special sunglasses. Also if you watch it with your head stuck in a pig. A wonderfully quirky short story that has never demonstrated the ability to support the weight of a feature length movie. Bigger, classier, far more talented stars have tried. All have failed. Though I doubt few more spectacularly than Stiller. Interesting how he can’t help himself from relying on slick advertising techniques — something so obviously out of place in a movie that should actually celebrate intensely personal, unique day dreams. Perhaps he should stick to making expensive, ironic takes on Hollywood blockbusters (his TROPIC THUNDER admittedly undermined many of my own preconceived expectations). But from the first trailer, this seemed like some rich USC kid’s senior thesis film, paid for with his dad’s AMEX, whose sole existence was to prove to junior CAA agents that he’s capable of successfully aping Wes Anderson’s or Spike Jonze’s style (without exhibiting any understanding of the themes that make their movies unique). Who knows? Maybe if that was the case, he’d get a music video or Victoria Secret’s commercial out of it. Worked for Michael Bay, right? All of this is made even more egregious in light of your superb article highlighting the admittedly brutish yet absolutely delightful anti-advertising themes raised in that glorious fight in THEY LIVE. My guess is that single, five minute fisticuffs scene demonstrated more unique artistry and intellectual capacity than a single, bloated frame of this glitzy Hollywood garbage.